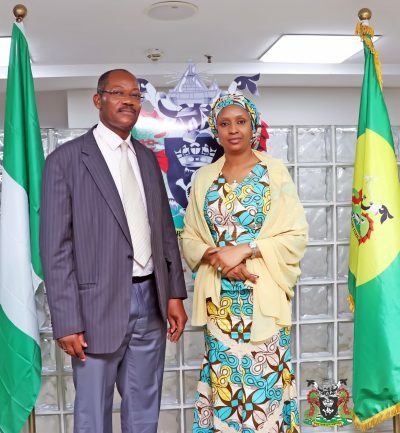 A delegation from the Port of Douala, Cameroon led by the Secretary General, Onana Ndoh Lin Dieudonne on a working visit to Nigeria, paid a courtesy call on the Managing Director, Nigerian Ports Authority (NPA), Hadiza Bala Usman in her office in Lagos today. 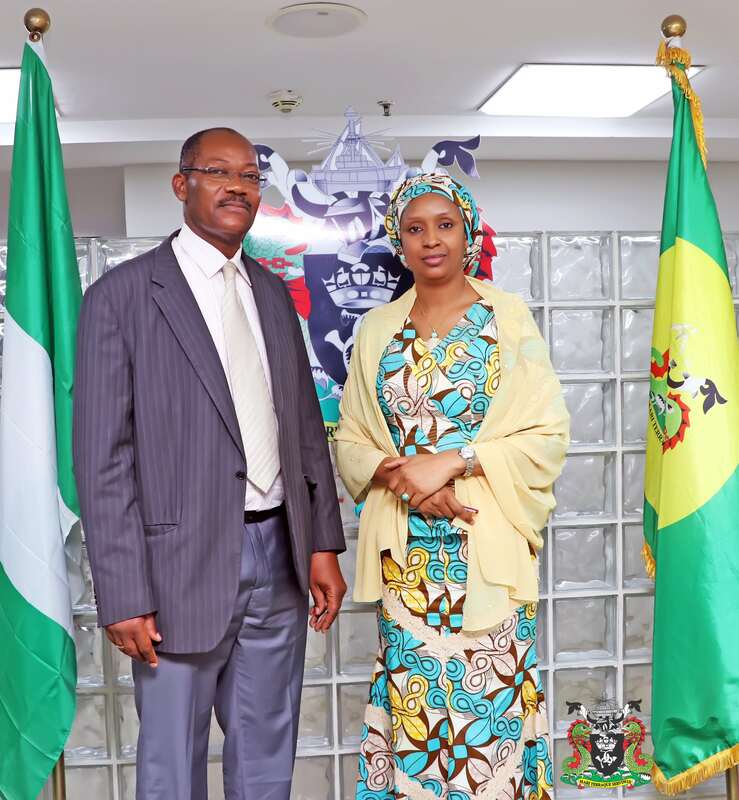 The Managing Director, Nigerian Ports Authority (NPA), Hadiza Bala Usman (right) and the Secretary General, the Port of Douala, Cameroon, Onana Ndoh Lin Dieudonne (left) during a courtesy call. 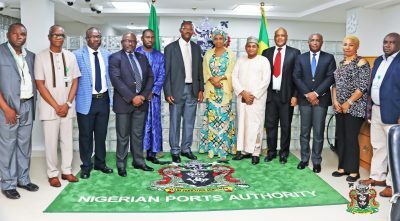 The Managing Director, Nigerian Ports Authority (NPA), Hadiza Bala Usman (middle) the Secretary General, the Port of Douala, Cameroon, Onana Ndoh Lin Dieudonne (3rd from left) and other Cameroonian delegates including other Top Management of the NPA during the visit.